Above is the diagram for the PU-22. This diagram is fairly straightforward. Be careful when soldering to the capacitor that connects to VCC and GND. In particular, the GND point can easily be bridged to nearby pins/pads. 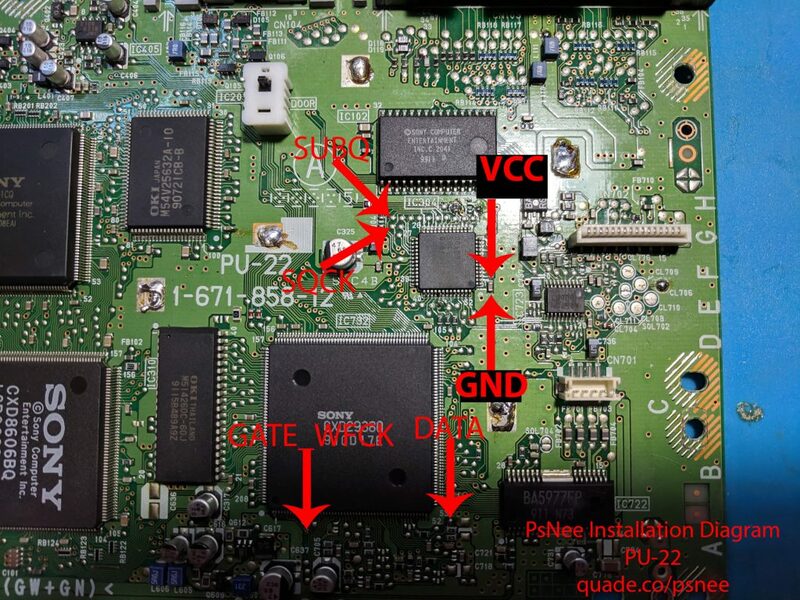 Placing the chip on top of the chip in between SUBQ, SQCK, GND, and VCC is a good spot. Watch out for solder splatter when you are desoldering the metal shield on top of the board. It isn’t necessary to put it back on, but I always do. 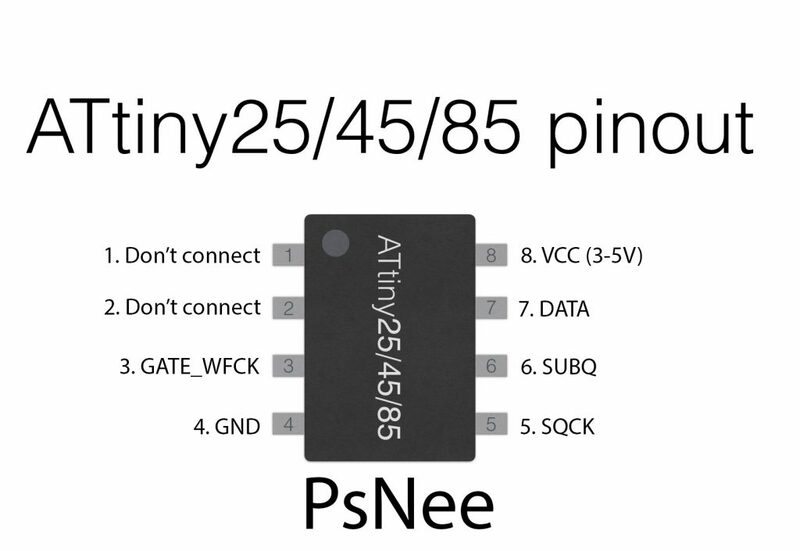 I don’t have a vcc called pin on my Arduino nano is there a different name for it? You can try using the VIN pin. The Nano is only officially compatible with 5V but it may work at 3.5V (what the diagram’s VCC point voltage is). I just installed this based on the instructions. Looks like the Vcc/Gnd has the polarities reversed in your diagram. Yeah, looks like you’re right. I updated the diagram. I tore off the GATE_WFCK pad. Is there anywhere else I can connect the wire? If you follow the little trace line that connects to the pad you’ll see that it connects to one of the pins on the chip above it. Be careful though, it can be tricky to solder to the pin without bridging solder across multiple pins. 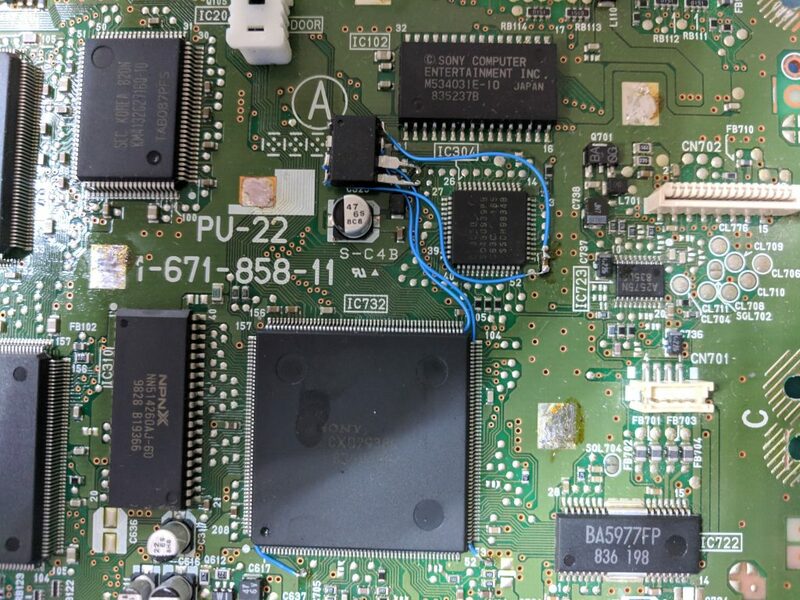 That’s the only other location for that pin, so you’ll likely just need to get your hands on a replacement board. Here’s my contribution, using a Attiny85. The only difference being that i took ground from other pad. Okay, I just did some testing with the Attiny85 and it does not play nicely with something like Tony Hawk Pro Skater 2, and it did not boot the backup. I will have to order some 45s or use the Mayumis I ordered from you. ATtiny85 chips should work if programmed properly. They’re identical to the 25/45 except for the amount of memory they have. It works with Konami games, legit SRWF, Fatal Fury, but curiously NOT Tony Hawk Pro Skater 2 on like the second boot or something. I have read that the 85 has limitations compared to the 45, and I guess I found one.